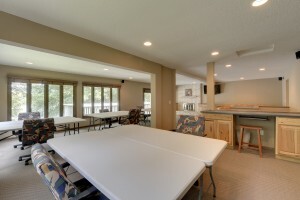 Lakeside Retreat promotes creativity and relaxation on a peaceful lake setting! 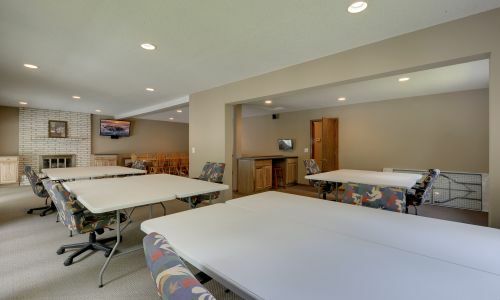 The craft area offers plenty of counter space, outlets and lighting for all crafters. 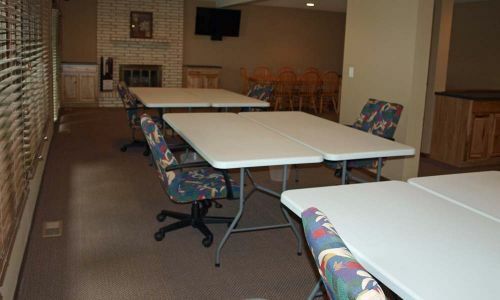 Included in the craft area is a computer with Wi-Fi and a printer. 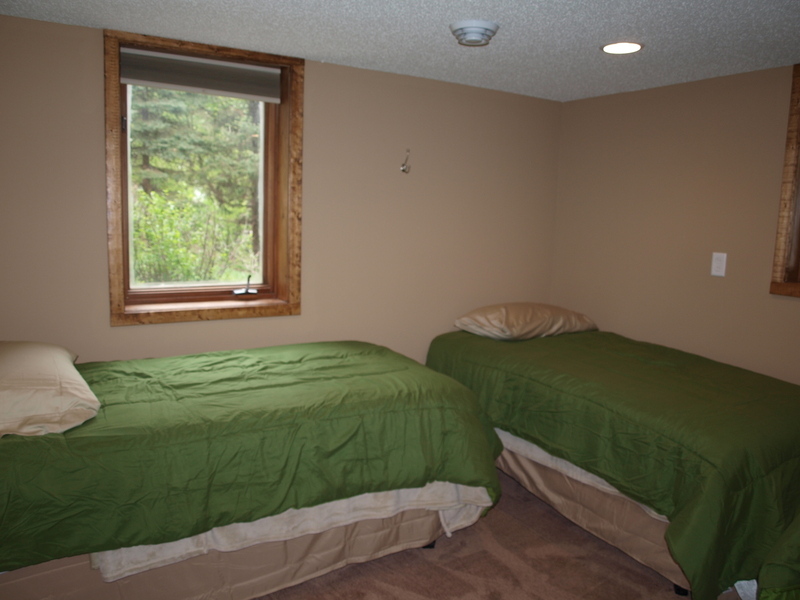 The large room has a wide-screen TV and DVD player. 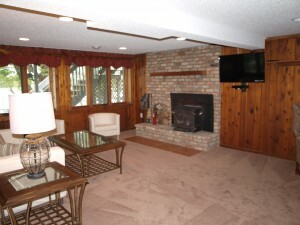 Start the wood-burning fireplace to keep warm on cold winter nights! The retreat is a two level walk-out rambler next to beautiful Lake Ramsey. 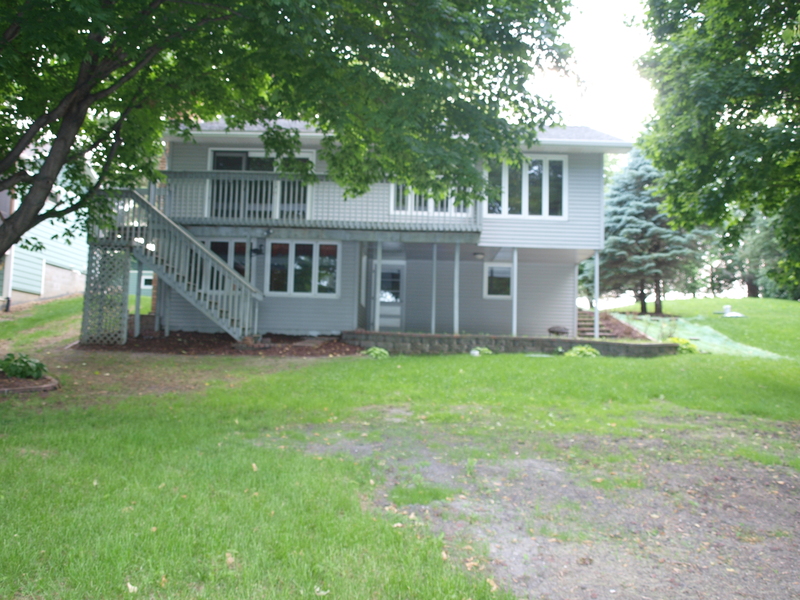 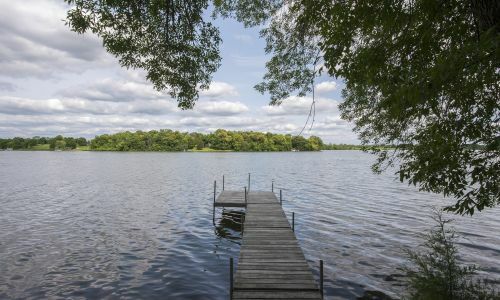 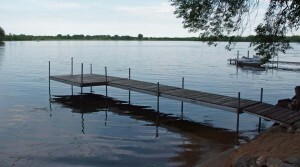 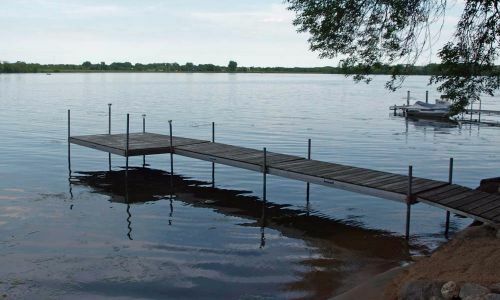 Awesome view of Ramsey Lake – with dock for great fishing and sandy beach area. 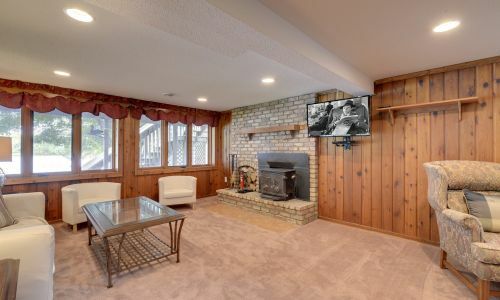 Level backyard has an open fire pit next to the lake! 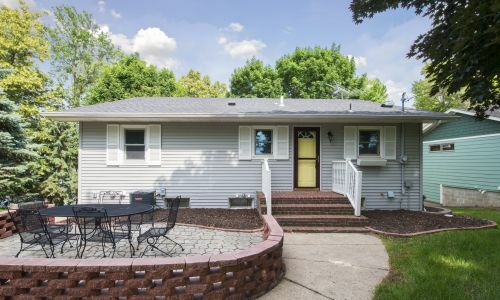 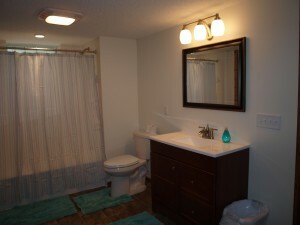 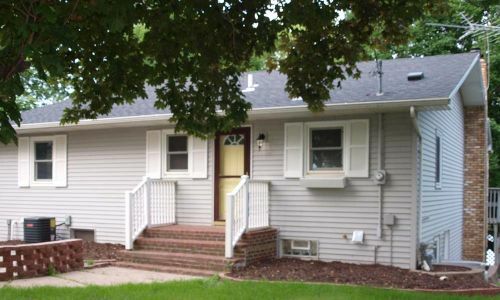 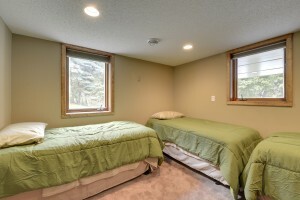 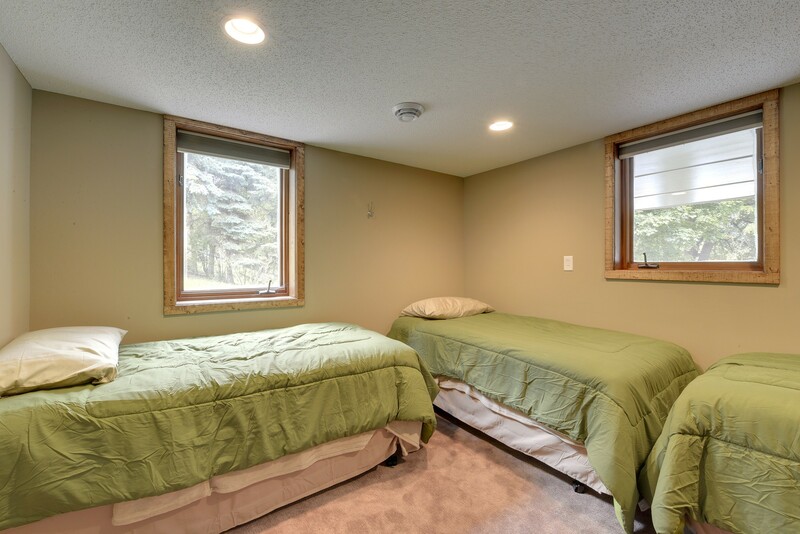 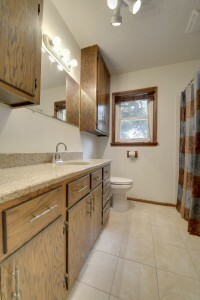 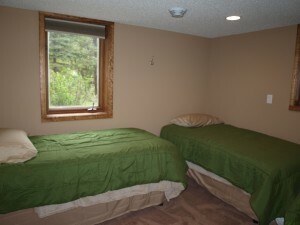 The home is completely updated with a new furnace and air conditioning system. 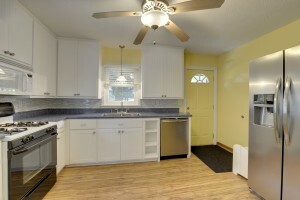 There is brand-new carpet and paint throughout the house. 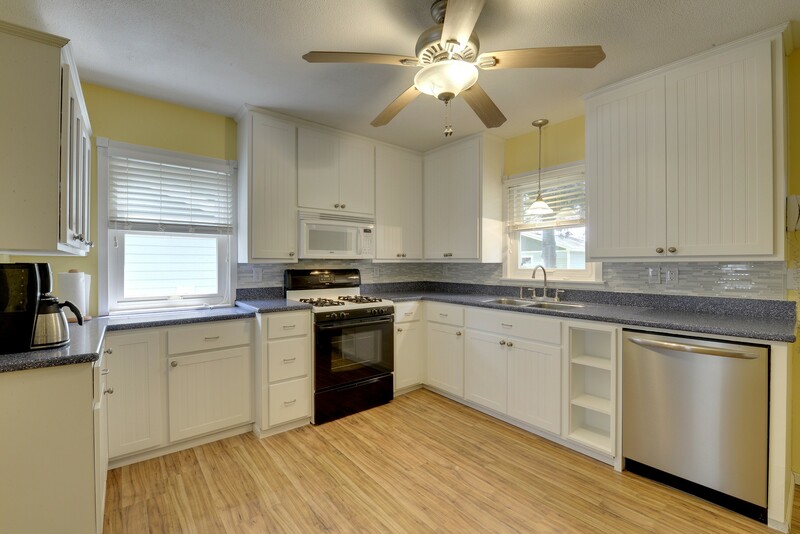 The kitchen has been updated with new appliances and stocked with dishes and cookware. You have everything you need to prepare your food during your stay, including basic condiments in the frig and spices in the cupboards. 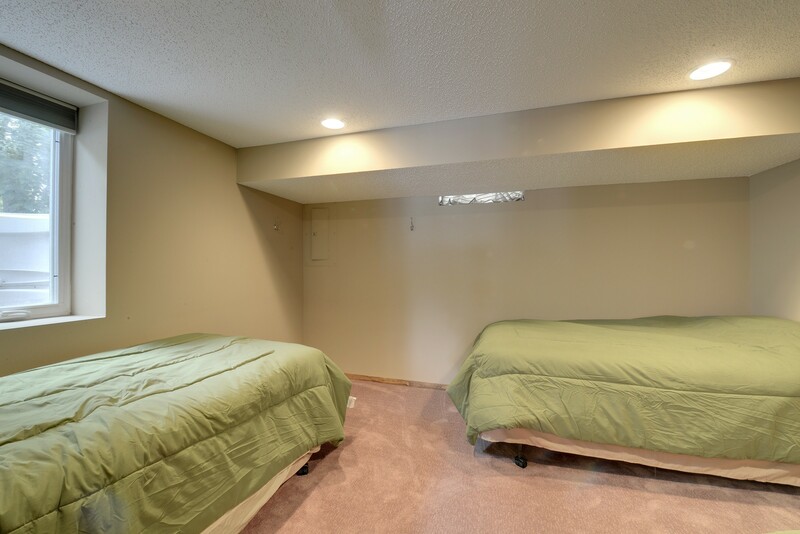 There is an extra refrigerator in the basement for more storage. During cooler evenings enjoy the wood-burning stove downstairs in the family room. 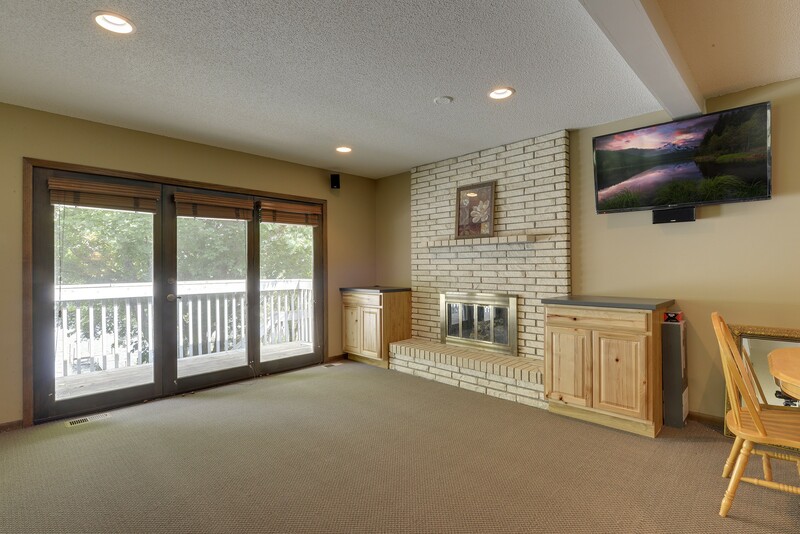 A large TV along with a DVD player help to complete the comfort of downstairs. 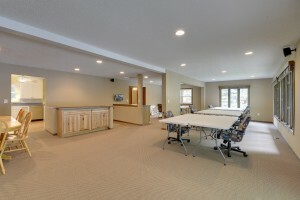 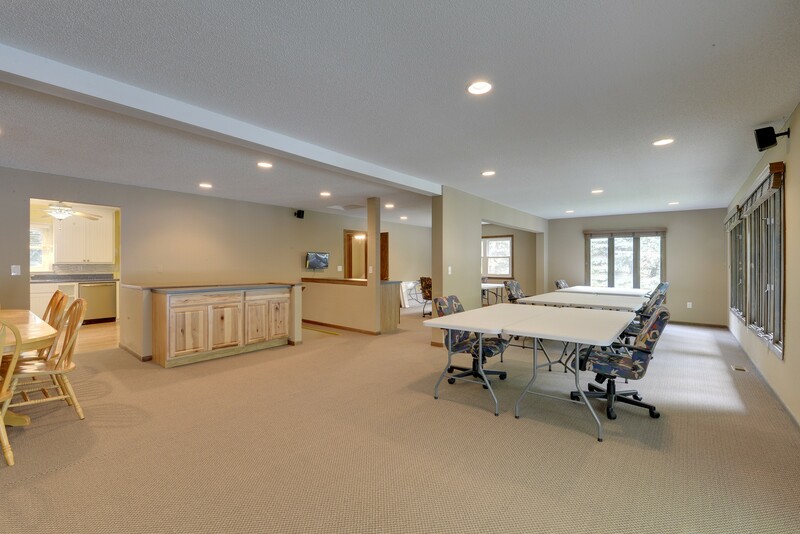 The family room overlooks the lake!